How well does your Unit function? Does your unit have a regularly scheduled committee meeting each mont. Units should have their committee meet once a month to transact the business of the unit and review and coordinate the upcoming months activities. The Troop Committee should have taken "Troop Committee Challenge Training"
Are your unit's activities planned and scheduled at least six months out? Parents like to know what activities are upcoming and on the horizon. Good communication with your parent groups will encourage them to support the Unit's activities. If your unit has a website, it should be updated with your calendar. Does a committee member handle all the unit's funds? The Scoutmaster/Cubmaster needs to be working with the boys and the program. Time spent collecting and disbursing money takes time away from the boys and the program so you should have a Treasurer and be following the Unit Budget Plan. Does a committee member purchase and keep records of all the advancement awards? The Scoutmaster/Cubmaster needs to be working with the boys and the program. This is a job well suited for a committee member who does not want to be an assistant unit leader but wishes to act in a support capacity. Are all your leaders trained? A Trained Leader is a Better Leader. Ask your District Executive for the training records of all of the leaders in your unit. Do leaders in your unit attend Roundtable? Roundtables are your leaders opportunity to get program resources, to get information about upcoming District events, and to talk to other leaders that are having the same problems and successes you are having in your unit. Check your District web page for the time & place of your local roundtables. Do a majority of your unit members subscribe to "Boys Life"? It is a statistical fact that a scout is more likely to stay involved in the program if he subscribes to "Boys Life". Does your unit participate in District & Council Events? District events promote the concept that each individual unit is part of something greater. Does your unit either participate in, or put on, a Troop Leader Training course for the youth leaders? 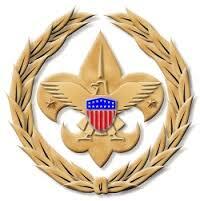 Troop Leader Training is required to be completed prior to attending National Youth Leadership Training (NYLT). A Trained Junior Leader is a Better Leader. Does your unit have a unit leader succession plan? Transfers and family emergencies occur. Don't let you unit flounder because an assistant leader was not prepared to step into the leader role. Have a plan. How healthy is your Unit? If you answered 'YES' to 7 or more of these questions, your unit is very healthy. If you answered 'YES' to either 5 or 6 of these questions, your unit is functioning well but might need to improve its committee organizational structure. If you answered 'YES' to 4 or less of these questions, your committee is might not be functioning as well as it could and your Unit Leader might need additional support very soon. Units that score 6 or below should take immediate action to improve the committee function and enhance the program you present to the scouts. The Commissioner staff is here to help and give guidance, so please call us!